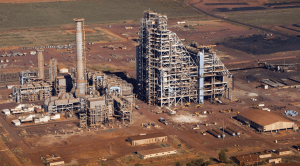 The BHP HBI plant is located about 20KM south of the town of Port Hedland in north west Western Australia. The construction of the HBI plant commenced in 1996 and was completed in 1999. The plant produces a nominal 2 Mtpa of iron briquettes, which can be used as a feed stock for electric arc furnaces in the steel making process. Amiga Engineering manufactured and supplied: Orifice Flanges, other Various Flanges A105N, LF2 through merchants.